This chic resort is getting similar treatment to that of Val d’Isère many years ago – in other words, heavy investment of over €120 million over the next 7 years; something that should see its star rise in the next couple of decades and make it a sound investment for anyone thinking of owning their own pied-à-terre in the Alps. Part of the new investment includes a stunning new aqua centre, lifts to bring you right up to 1850 and two new hotels. 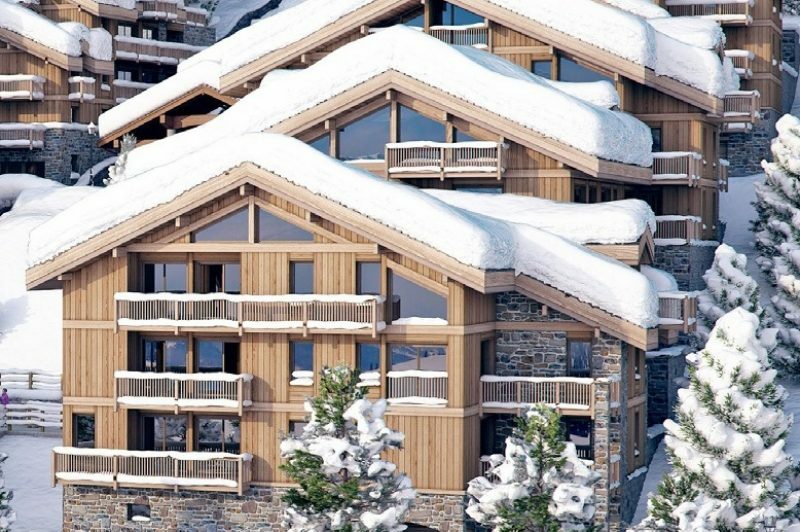 British-based ski property specialists for almost 30 years, Investorsinproperty.com are offering two developments in Courchevel 1650, both of which have been selling like hot cakes in the cold snow. The first one is called the Courchevel Lodges. It’s a set of four new apartment buildings in what the promoters describe as an outstanding location – so outstanding that it recently featured in a Sunday Times overseas property feature. All the apartments are situated next to the new escalator that brings you either up to the centre of the resort and the ski lifts or straight down to the new aqua centre and the new lift that brings you up to Courchevel 1850. Of the four buildings, one has already been sold out and of the 50 original apartments, only 6 remain, with prices ranging from €450,000 up to €3,185,000. Click on these links (Keystone Lodge, Mammoth Lodge, Vail Lodge) to find out more about them and download detailed brochures. The second project from Investorsinproperty.com is the Entrée des Montagnes. It’s described as a luxury development located at the entrance to the resort and just 100 metres from the centre and the ski lifts. The interiors are superb quality and the views are stunning. This development has two-bed and three-bed apartments ranging in price from €700,000 to €1,075,000. Not within everyone’s price range but a superb investment – particularly for anyone who loves the mountains. You can find out more about this development by clicking here Entrée des Montagnes. The Keystone and Mammoth Lodges do come with a flexible rental obligation and all offer the possibility to rent on a commercial basis and reclaim the 20% VAT. Mortgages of up to 80% are available with interest rates around 2.75% making them a great investment.